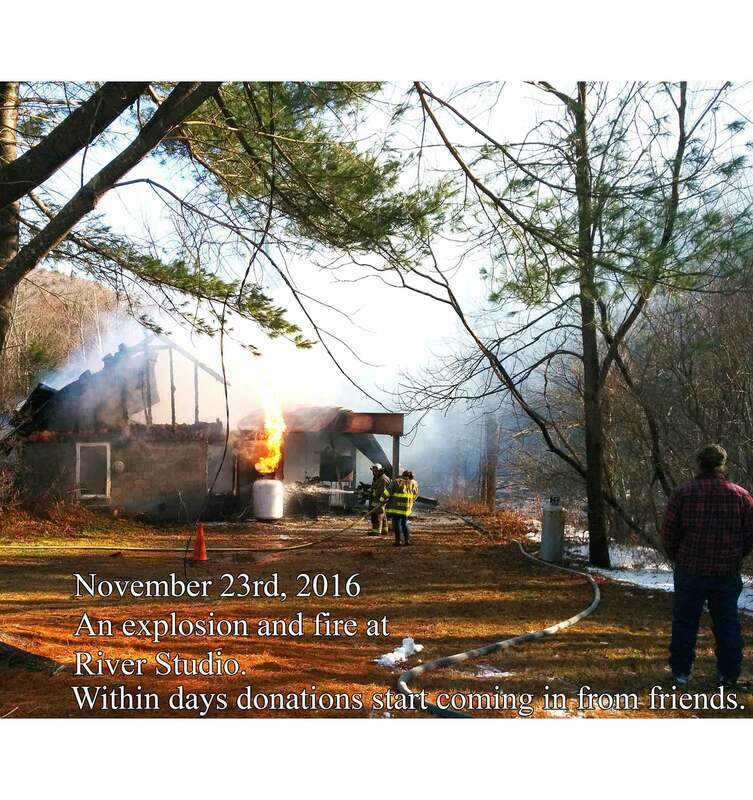 A tragic fire destroys the original River Studio on September 23rd, 2016. 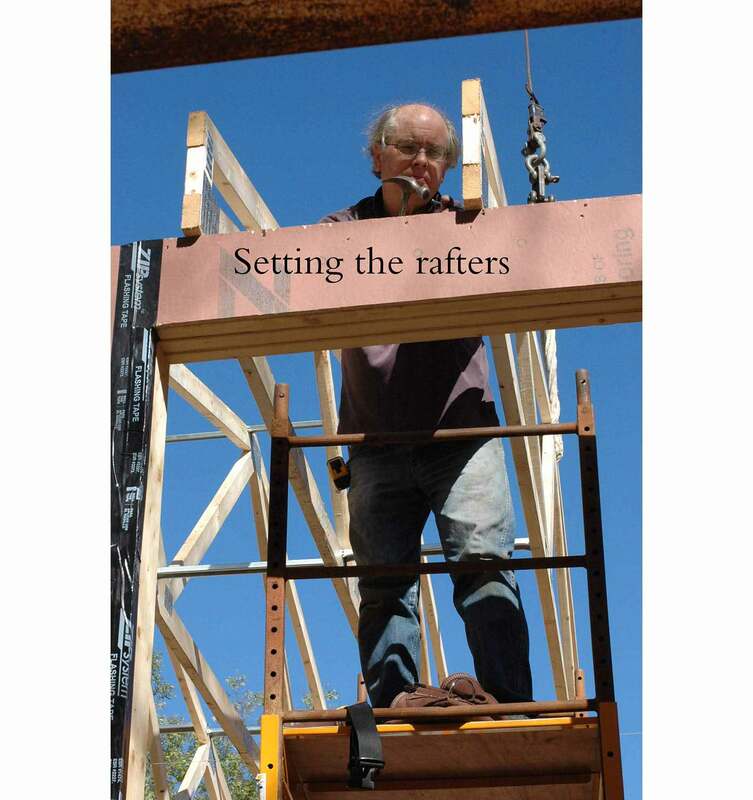 Our friend Bill Kelly comes in early spring to measure and draw out new plans. 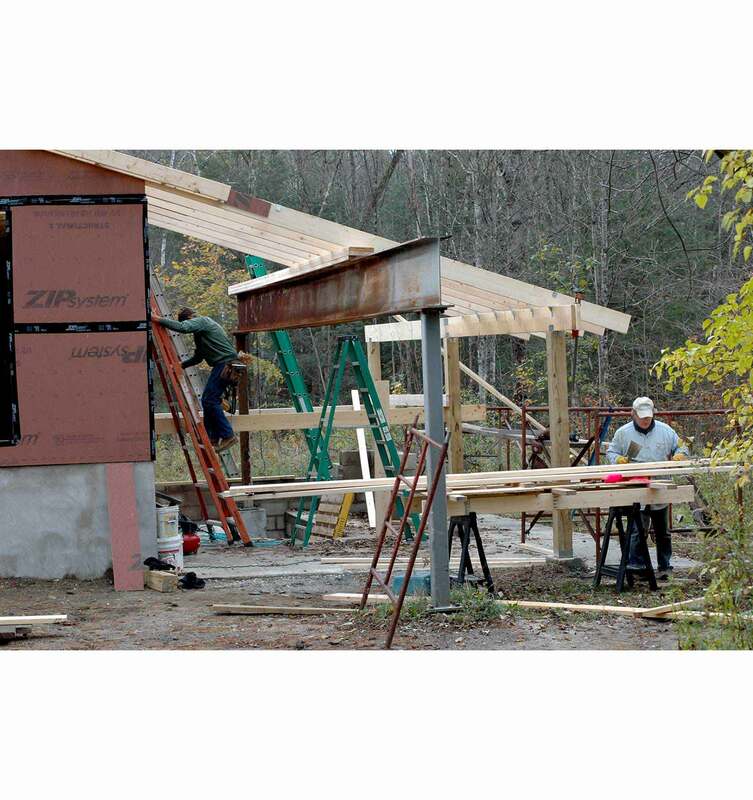 A fundraiser at Ventfort Hall helps raise over $18,000 towards rebuilding costs. 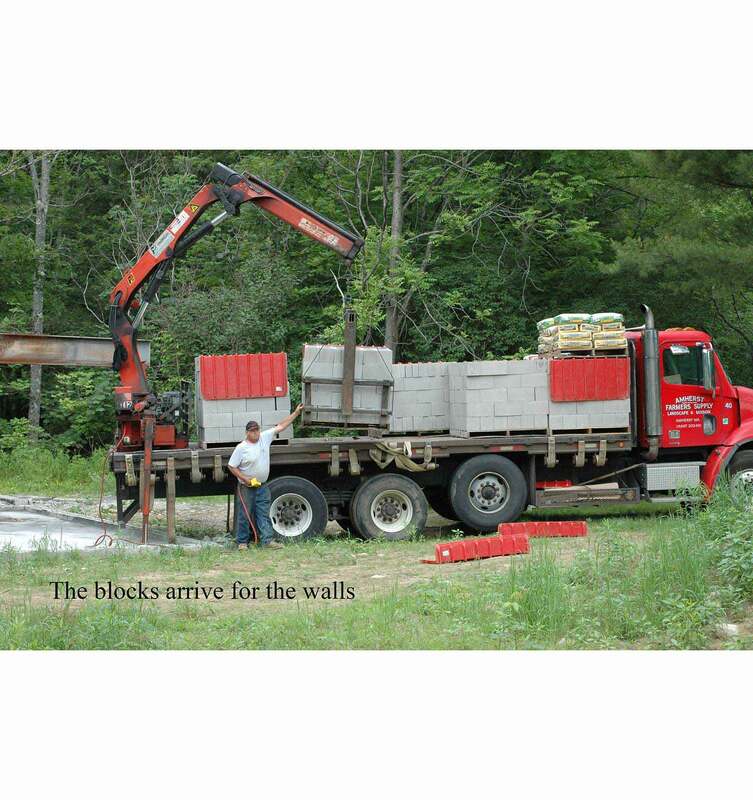 Cement blocks arrive for the four foot knee wall in May. 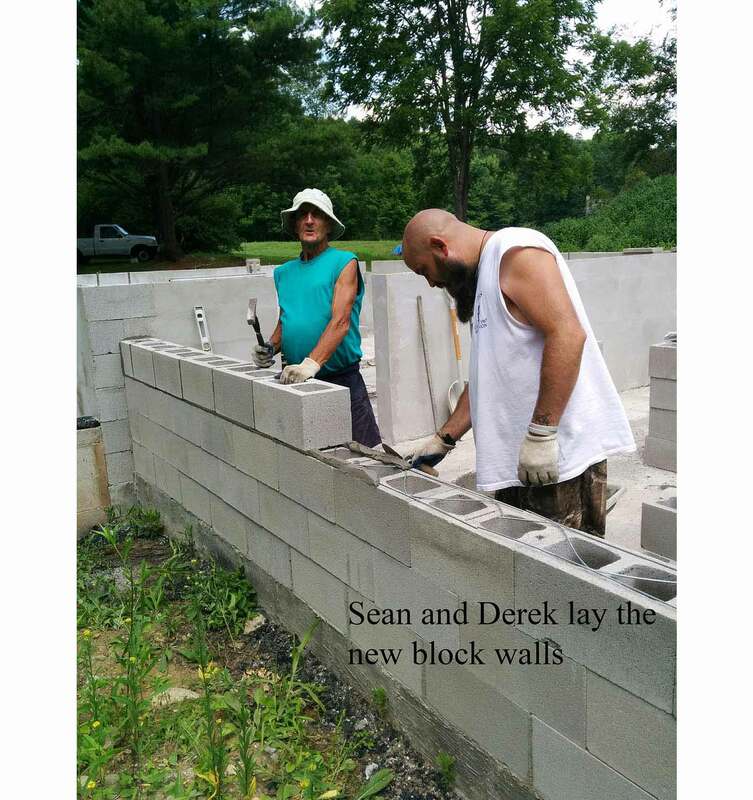 Sean Noonan and his assistant lay the block knee wall. 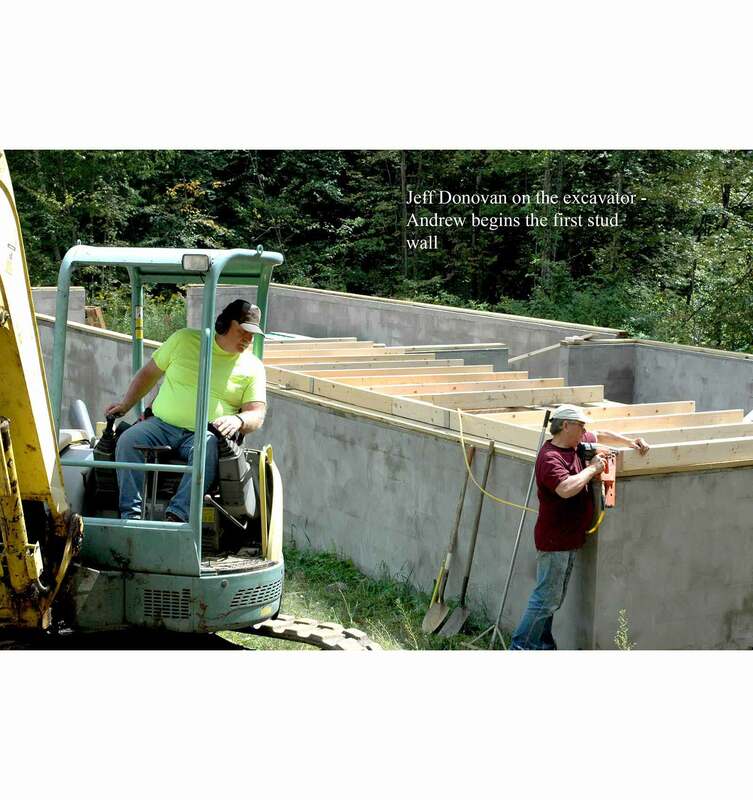 Jeff Donovan works the excavator, Andrew begins the first stud wall. 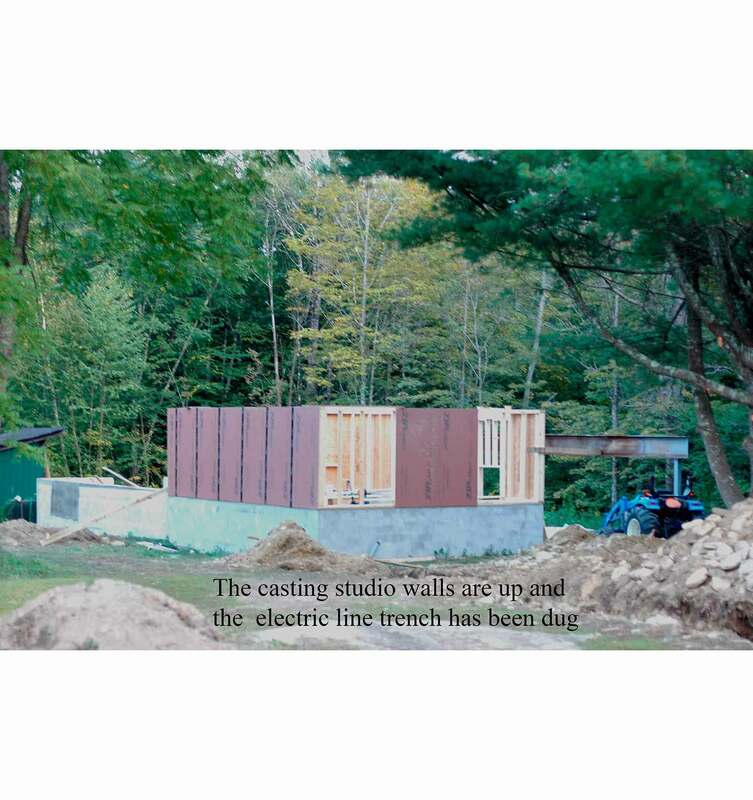 The new casting studio walls are up. 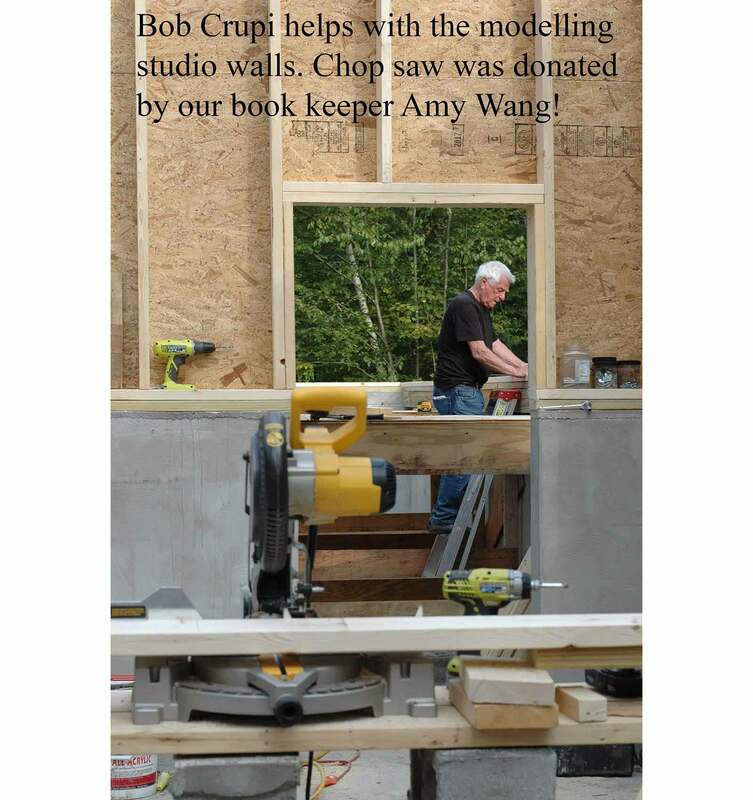 Bob Crupi comes to help with the modelling studio walls. 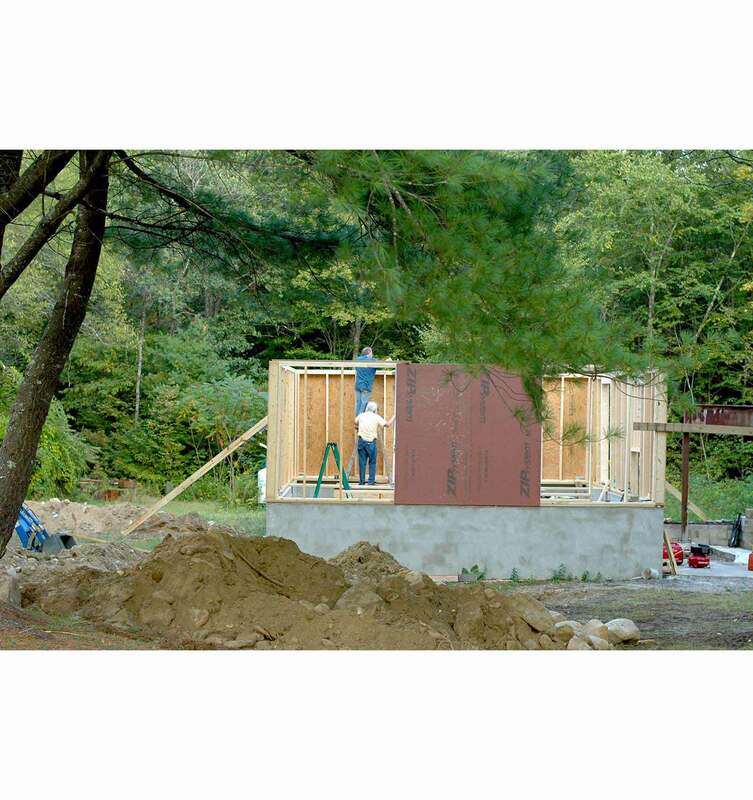 The common wall is up. 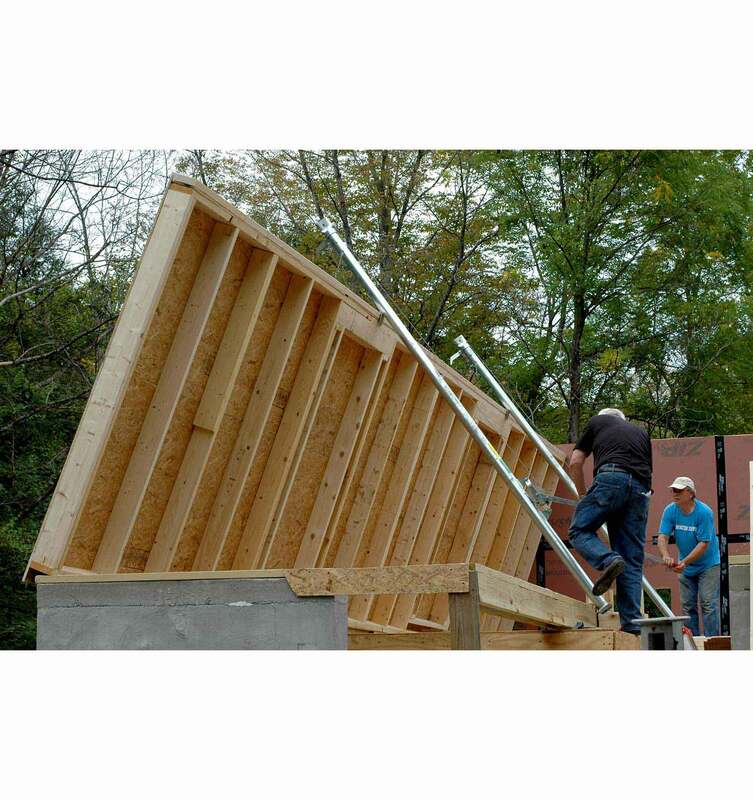 Now the first of the modelling studio walls is beineg raised. 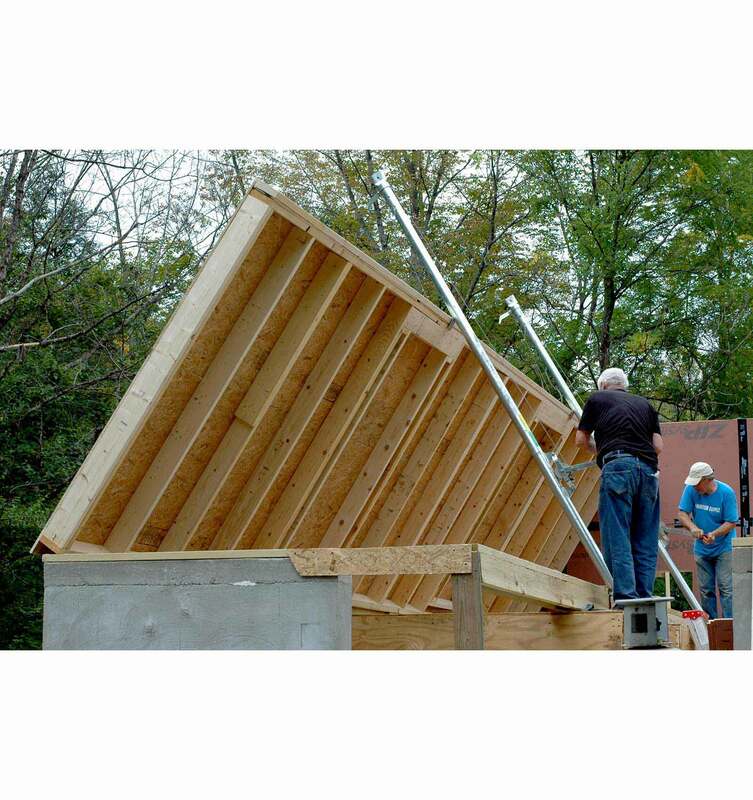 All the walls are up and the rafters are being placed. 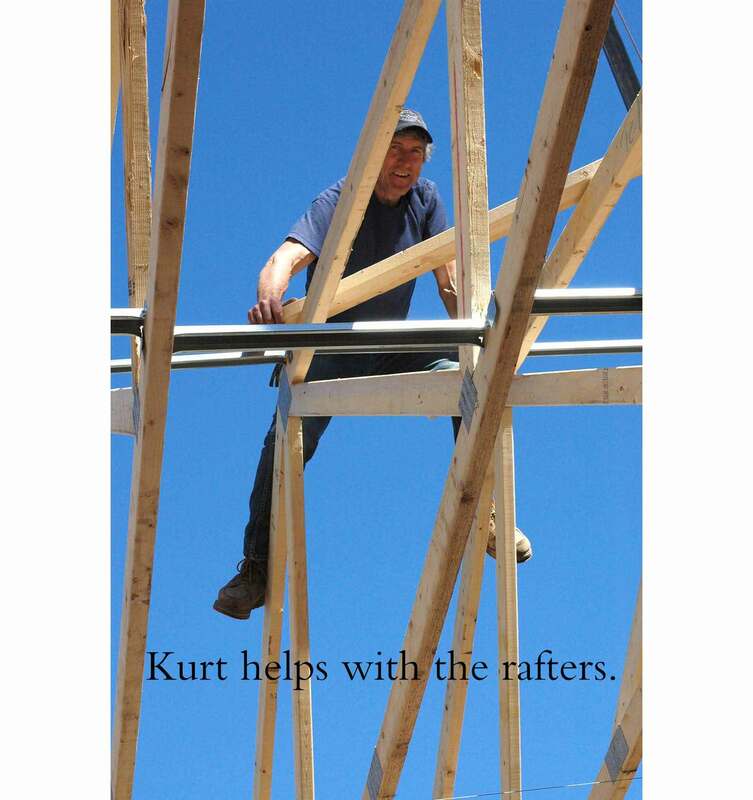 Kurt helps on the rafters. 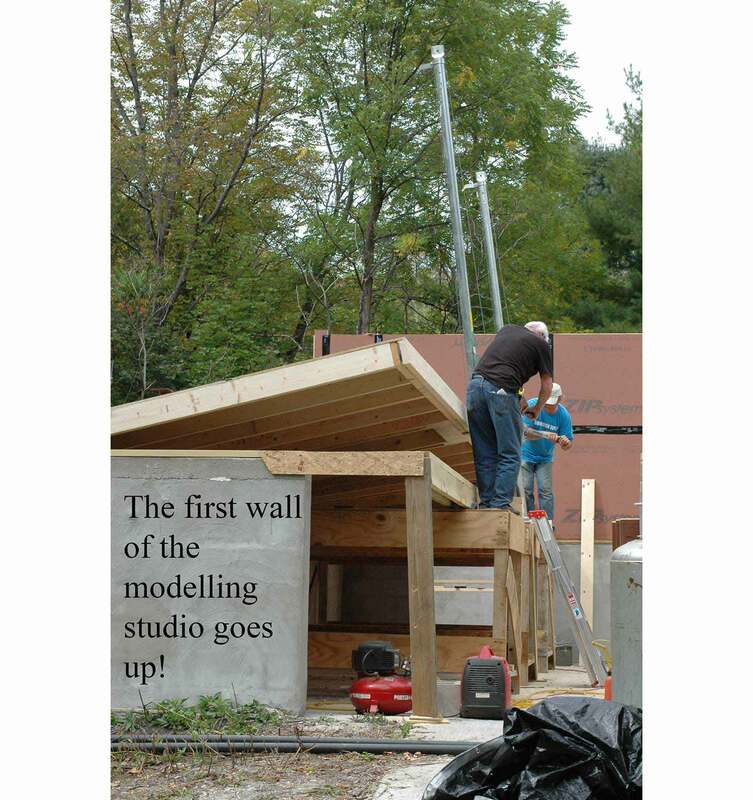 The rafters go up on the casting studio overhang. We are racing against the oncoming winter. 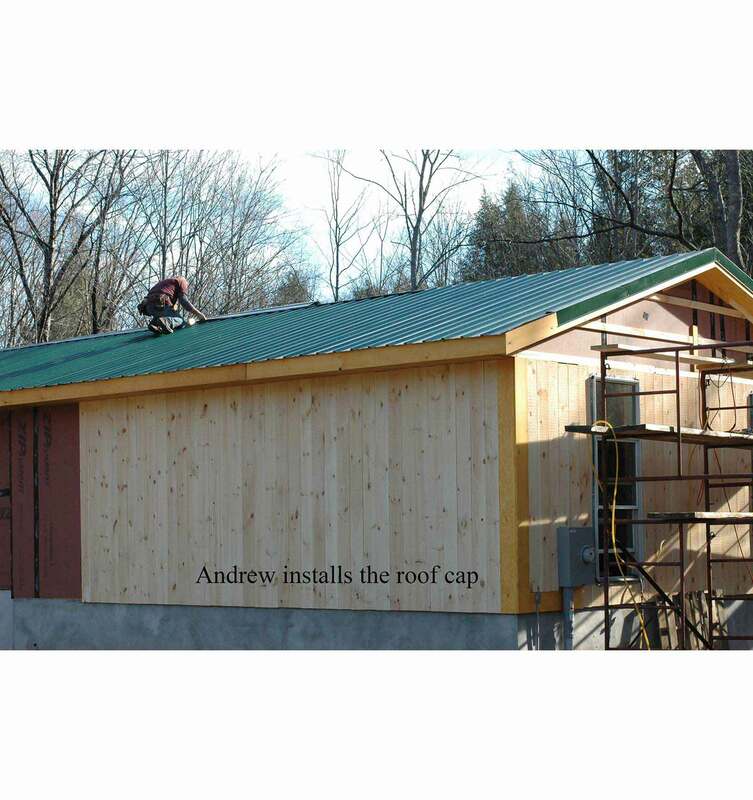 One of the last sunny warm days - the roof cap on the peak goes on. 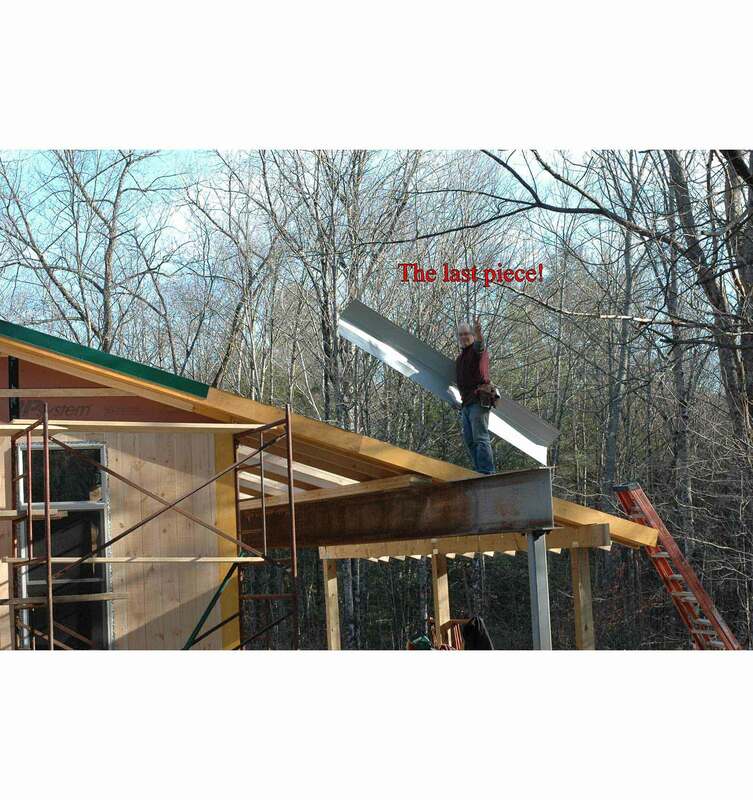 The last piece of the roof! The windows and doors are nearly all in. January! 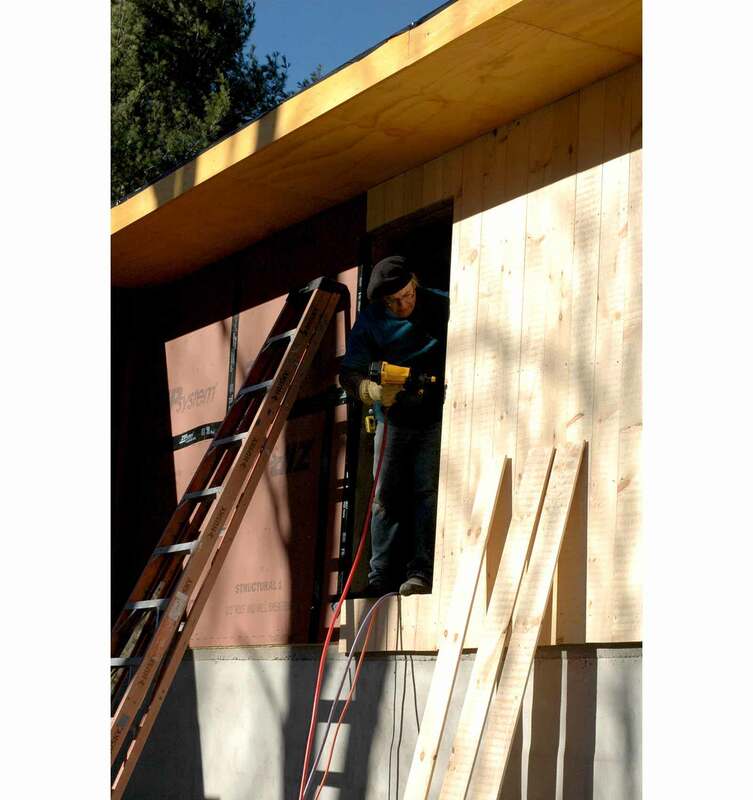 We beat the winter but more work inside remains. 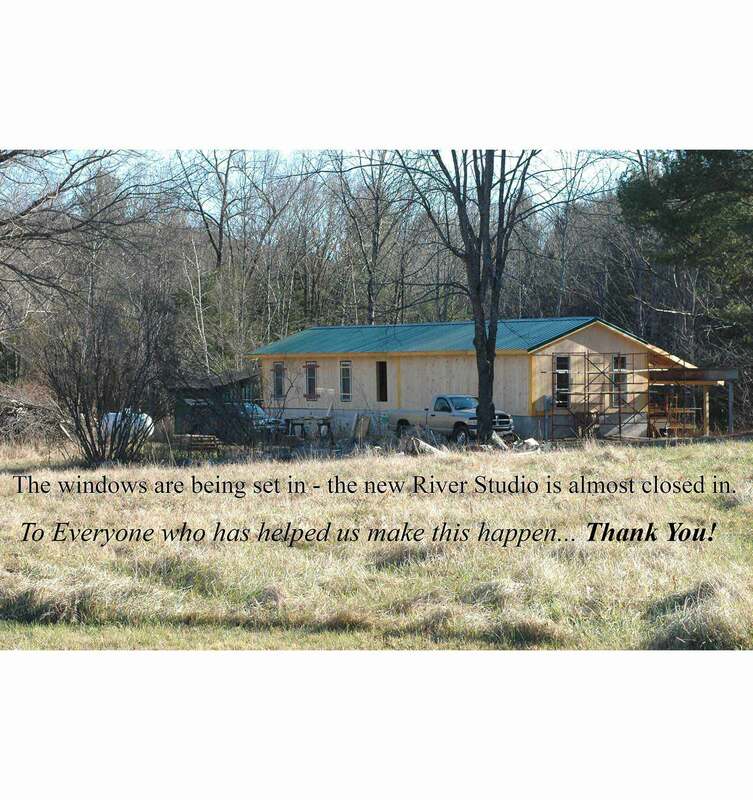 By spring we should be up and running again at the new River Studio. Our thanks to Everyone! 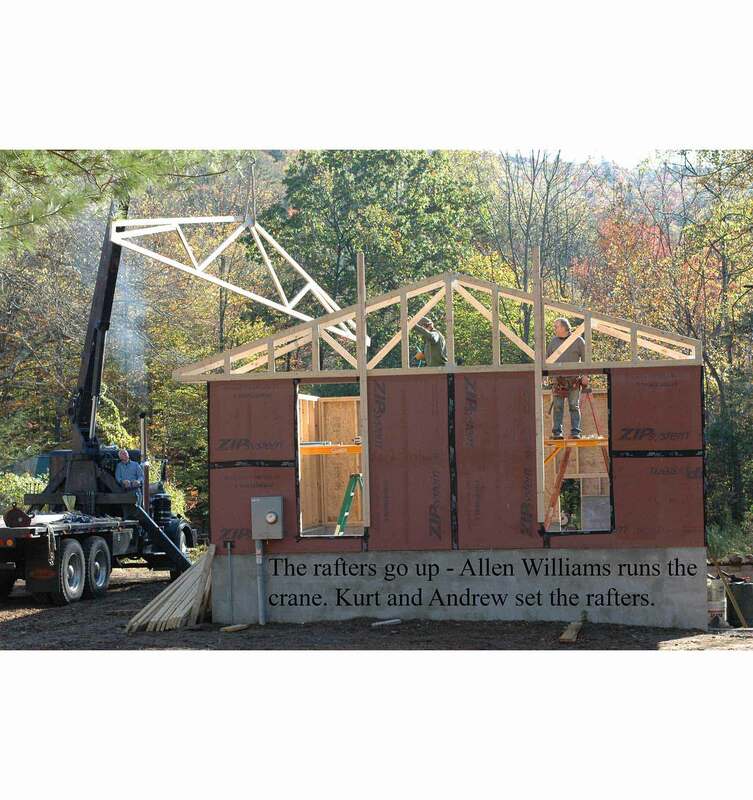 These 3 “G”s represent the generosity of so many patrons, friends, family and the community at large who have joined together in the efforts to raise a new River Studio out of the ashes from the tragic fire that destroyed Andrew’s casting studio. 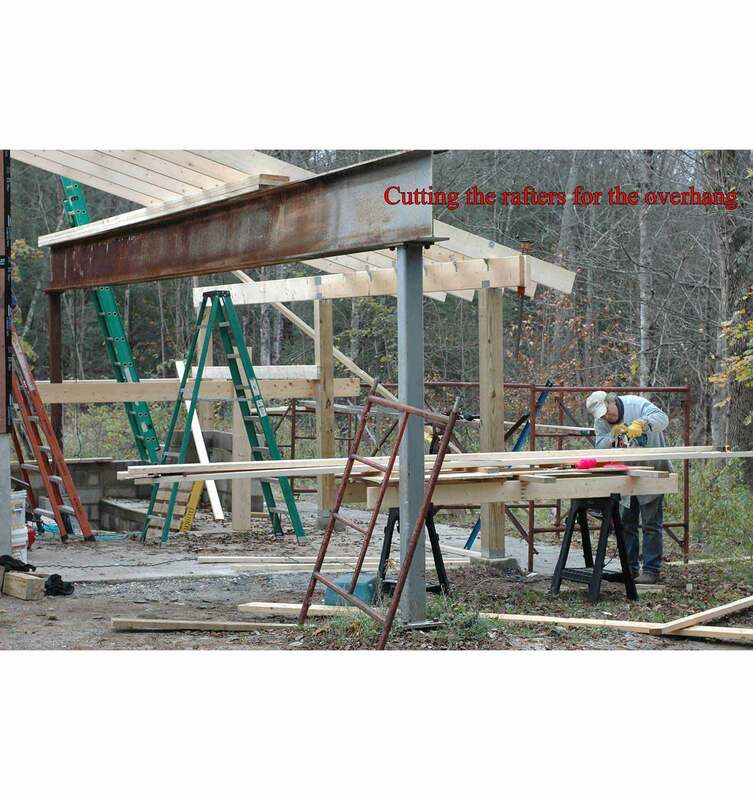 To date a total of 85% of the estimated construction costs have been collected. 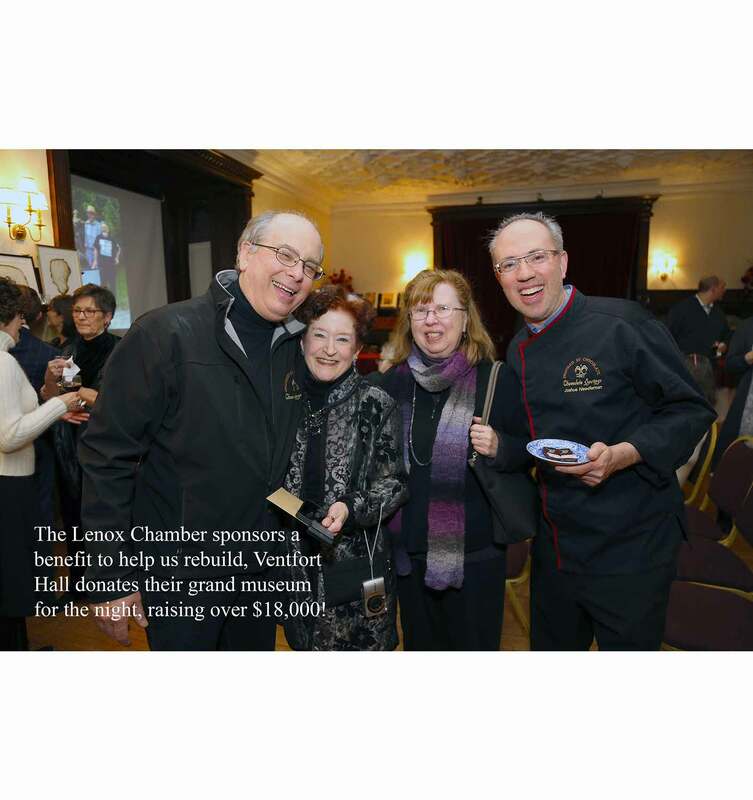 A giant leap forward was made through the efforts of the Lenox Chamber of Commerce benefit that took place on March 3rd at Ventfort Hall. 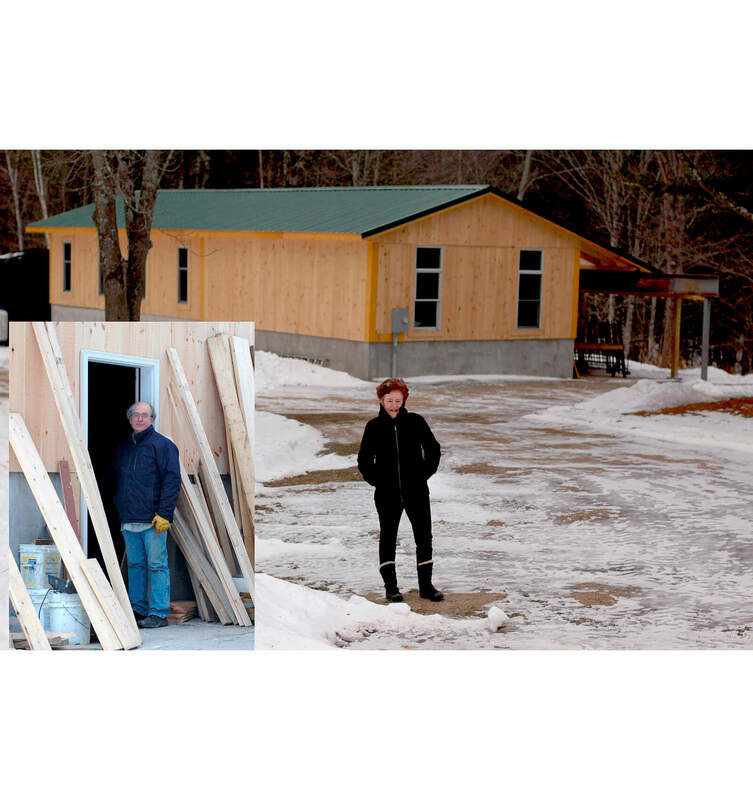 Envelopes containing checks in every amount continue to arrive in the mail as well as the contributions online through the GoFundMe Rebuild River Studio campaign. We are grateful for each gift we receive. You have all touched our hearts and that kindness fills us with inspiration and the courage to forge ahead! says Andrew. 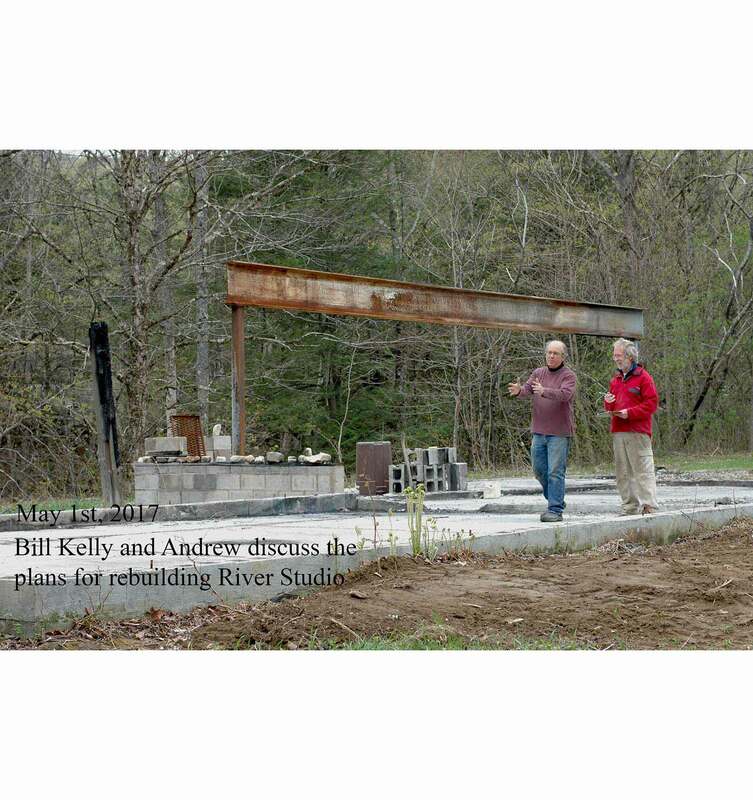 Measurements and sketches have been given to our friend Bill Kelly of Meadowwoods Pedestals who will draw up the plans needed for the permitting process. 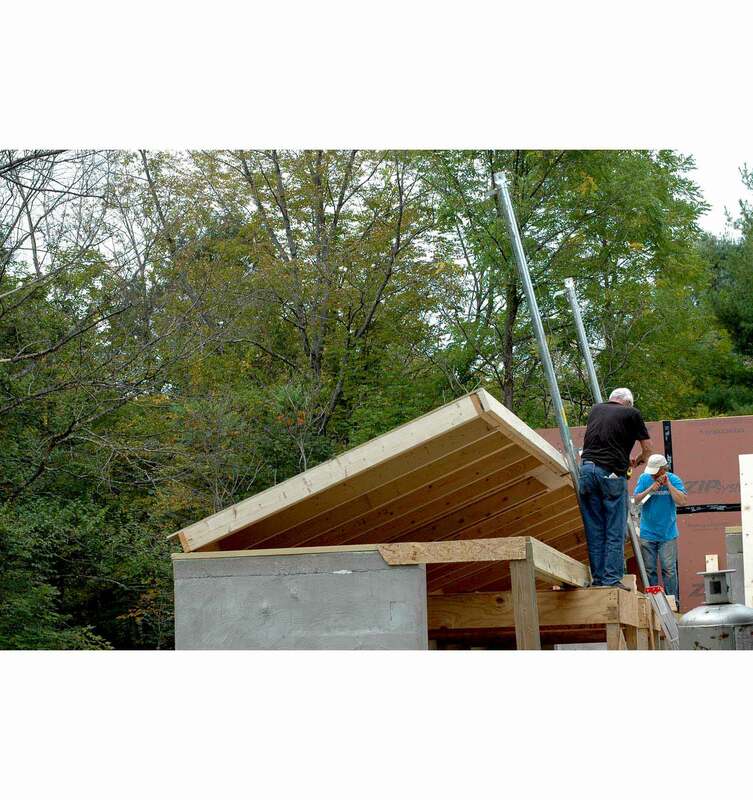 Once spring finally arrives in the Berkshires and warmer temperatures prevail, cleanup of the site will begin. 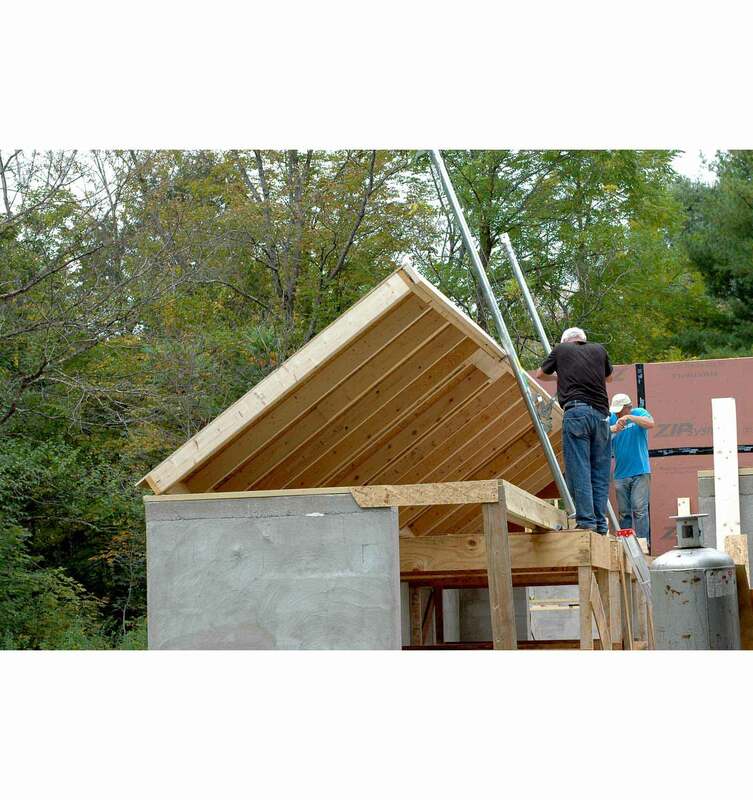 The goal is to have the shell of the building up by next winter so that interior work can be done during the colder months and casting can begin again by spring of 2018.